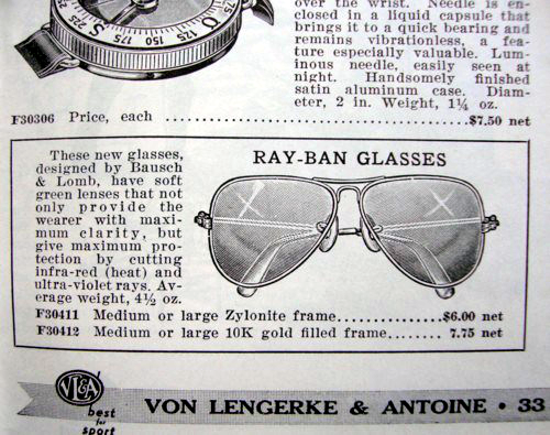 Features: The prototype, known as "Anti-Glare", had plastic frames and green lenses that could cut out the glare without obscuring vision. 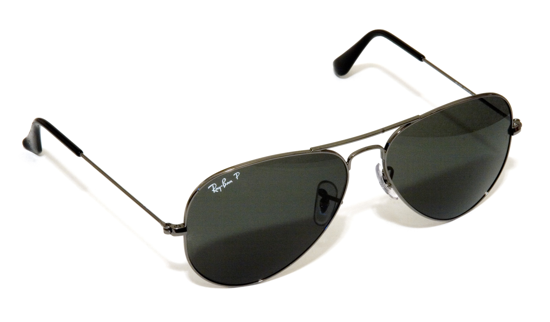 It was remodeled with a metal frame the following year and rebranded as the "Ray-Ban Aviator". 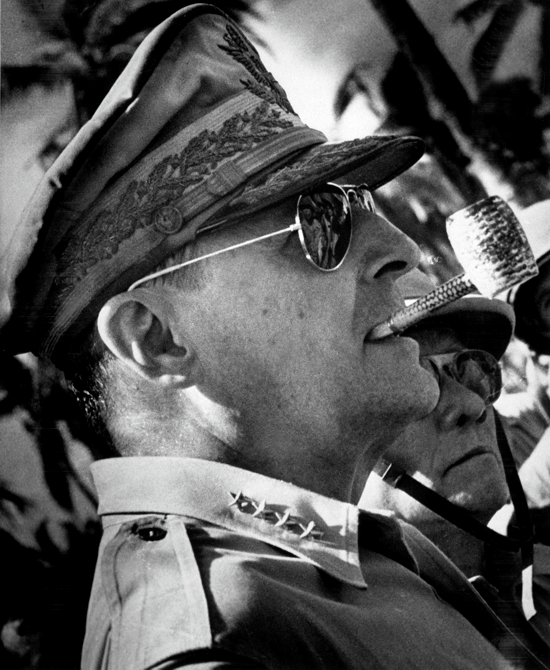 Interesting facts: The history of the Ray-Ban Aviator dates back to the 1930s, when many US Army Air Service pilots were reporting that the glare from the sun was giving them headaches and altitude sickness. 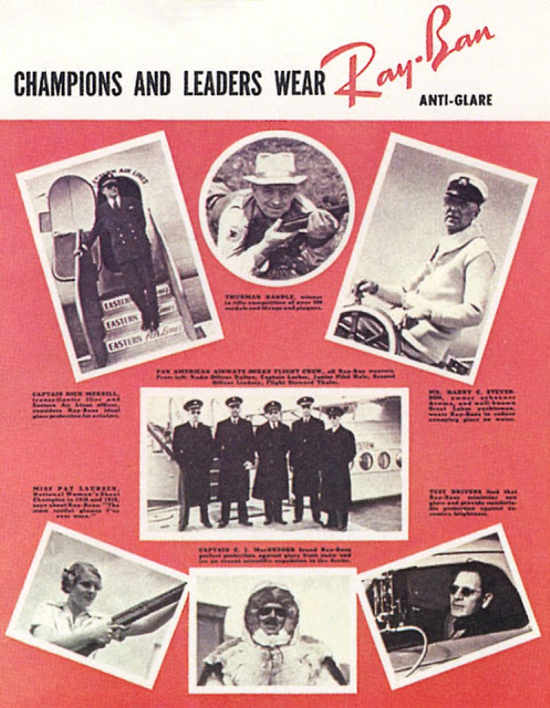 In 1929, US Army Air Corps Lieutenant General John MacCready asked Bausch & Lomb, a Rochester, New York-based medical equipment manufacturer, to create aviation sunglasses that would reduce the headaches and nausea experienced by pilots, which are caused by the intense blue and white hues of the sky. 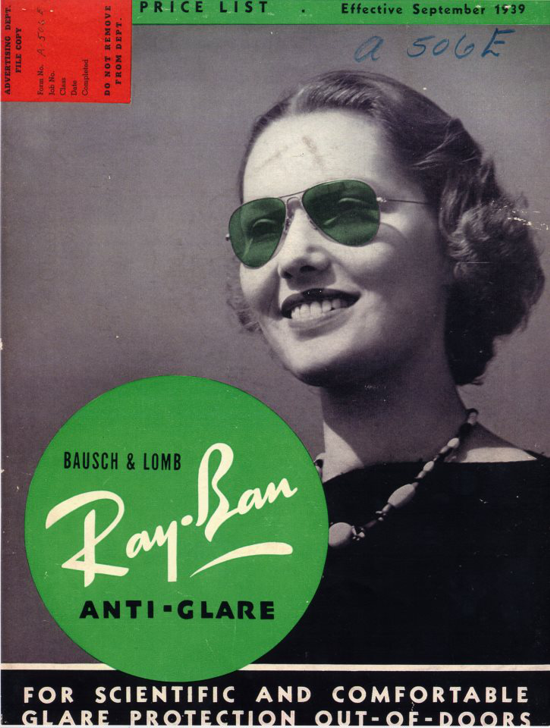 A new kind of glasses were introduced; on May 7, 1937, Bausch & Lomb took out the patent, and the Aviator was born.